Originally posted 20 Apr 2006. The world's first "gene therapy" drug, named Gendicine, was officially licensed by the Chinese government in late 2003 after clinical trials found it noticeably improved the survival rate of patients with head and neck cancer, which are common in China. Injected directly into the tumour, Gendicine is designed to destroy cancerous genes. The key ingredient is the p53 gene, described as a tumour-suppressing gene and which is mixed with a common virus. ....Experts openly question the Chinese government's willingness to approve new cancer drugs that are still in their experimental stages in North America. As one Wall Street Journal article on Endostar noted: "The hurdles to getting Endostar approved for general use in the U.S. are high. It has only been tested in China, and it's not clear whether those trials meet U.S. and European standards. The results of the trials have yet to be published in any Western peer-reviewed medical journals. The exact mechanism by which Endostar inhibits tumors from building a blood supply is unknown." The Genesis of Gendicine has an interview with the chairman and founder of Shenzhen SiBiono GeneTech. 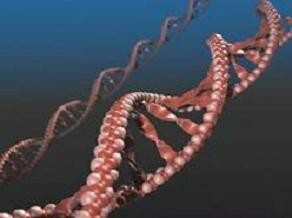 World-wide there are over 1000 gene therapy clinical trials. See the useful charts here. 797 of the gene therapy trials are for cancer diseases, 102 are for monogenic diseases, and 106 are for vascular diseases. Now that I am somewhat settled in Oxford I have a chance to post something on the blog. Oxford is a beautiful city and the weather these past 2 weeks has been great. I have had a few conversations with people here about the upcoming RAE that will take place in the UK in 2008 (see http://www.rae.ac.uk/ ). And this has motivated me to write this brief post on academic publishing. My first three academic appointments were in UK departments and thus the RAE played a formative role in shaping the publication strategies I pursued in the early stages of my career. Since leaving the UK in 2003 I have been in a tenure-track position in Canada (though now I am back in the UK for this year). There are many parallels between the two systems but there are also important differences. So I offer some thoughts on publishing which might be useful to those considering a job in academia or those in the early stages of their academic career. The motto “publish or perish” is very much alive in the competitive academic job market. From the pressures of the RAE (in the UK) to those of landing that first job, getting tenure and applying for promotion, academics must continuously give serious consideration to implementing an effective publication strategy that will permit them to fulfil the important intellectual services they are employed to perform. research expectations and culture of one’s institution, discipline and country. When I worked in the UK between 1999 - 2003 I received explicit advice on what journals and publishers to target so as to maximise the RAE submission of the department. When on the tenure stream in North America this is a bit different. Junior faculty members need to know what the research expectations are for getting tenure in their particular institution and make long-term plans to meet those demands in the years to come. An attractive feature of the tenure system is that you are given a set number of years (e.g. 6 or 7) to develop your research programme. This can be contrasted with the publication expectations with the RAE. In the latter a lot really depends on *when* you enter the job market relative to the next RAE. If the RAE is just 1 year down the road, permanent jobs will most likely go to those who have the necessary number of publications in print before the submission deadline. If you enter the job market immediately after the RAE cycle things will look very different. term, that they might have a lower publication output)? How much weight should be placed on intellectual breadth versus impact of specialisation? are and thus what research is important /outdated/ irrelevant/ ill- conceived / “pie in the sky”, etc. From the perspective of the academic her or himself, I don’t think it is wise to attempt to answer these questions purely (or even primarily) by considerations of career advancement. Rather the answers should come via reflections on one’s own intellectual curiosity and their determination of what research is the most important for them to invest their finite time and energies in. Ideally, an academic’s intellectual aspirations and judgement will cohere with the likely judgements of those charged with evaluating an academic's performance. But of course we do not live in an ideal world. So a prudent scholar will give due consideration to the constraints they face in the real life of academia (e.g. time constraints imposed by tenure, the RAE, etc.). One useful source which academics can utilise when contemplating where to publish their work is the ISI Web of Knowledge Journal Citation Reports (subscription needed) which ranks the impact of journals by discipline (e.g. Political Science, Law, etc.) and specialisation (e.g. Ethics, etc.). These rankings are of course controversial and should be taken with a grain of salt, but it is important (especially for junior scholars) to be aware of them. and see what comes up. Are they presenting at important conferences you should consider presenting at? How much teaching experience do they have? Perhaps they have applied for research grants that you should also consider applying for. The internet provides us with a multitude of information that can help a junior academic get a sense of where they are in the larger pool of job candidates and the things they need to do to improve their job prospects.